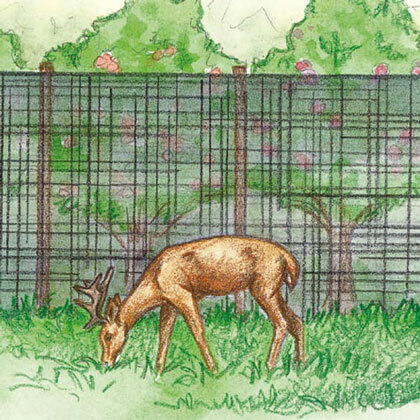 Deer Stop Netting | Gurney's Seed & Nursery Co. Durable 3/4- x 3/4- in. 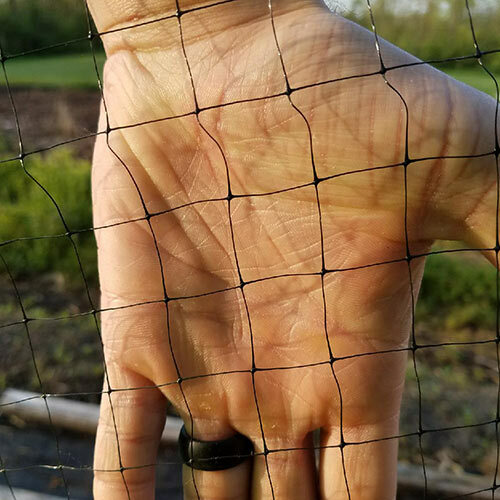 polypropylene black mesh—easy, affordable alternative to metal fencing. Protects trees, shrubs and vegetable gardens from deer. Use to form a fence or drape overplants.